Your aesthetic designing and construction skills have helped in enhancing your company's publicity and reputation. As a designing professional, you know the importance of effectively designing your product in order to achieve desired results. You should also know that in your job search you need to design your profile effectively to land the perfect job. A resume and cover letter are the most important self-designing tools in your career; then why rely on amateurs and friends for drafting them? After signing up on Our Services page, you will be asked to fill out our detailed questionnaire which will elicit important information related to your designing career. Additionally, you will need to upload your existing resume/cover letter for our writers to get a clear picture of your writing style and your background. Your work ends here! In the next five days, you will receive a new "you." 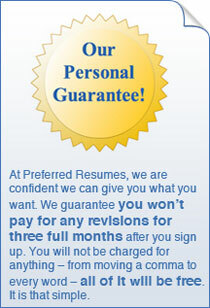 Our professional writer will give your resume and cover letter a complete makeover.